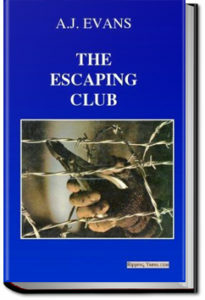 Described by some as one of the greatest escape books published. The Escaping Club recounts Evans’ escape to Switzerland from a supposedly “escape-proof” German prison camp during World War I. After repatriation and rejoining the war, Evans again finds himself captured, this time first by Arabs and then by Turks. He again manages to escape. A detailed look at the trials faced by Allied POWs during World War I. This entry was posted in Action/Adventure Books on October 30, 2017 by allyoucanbooks.